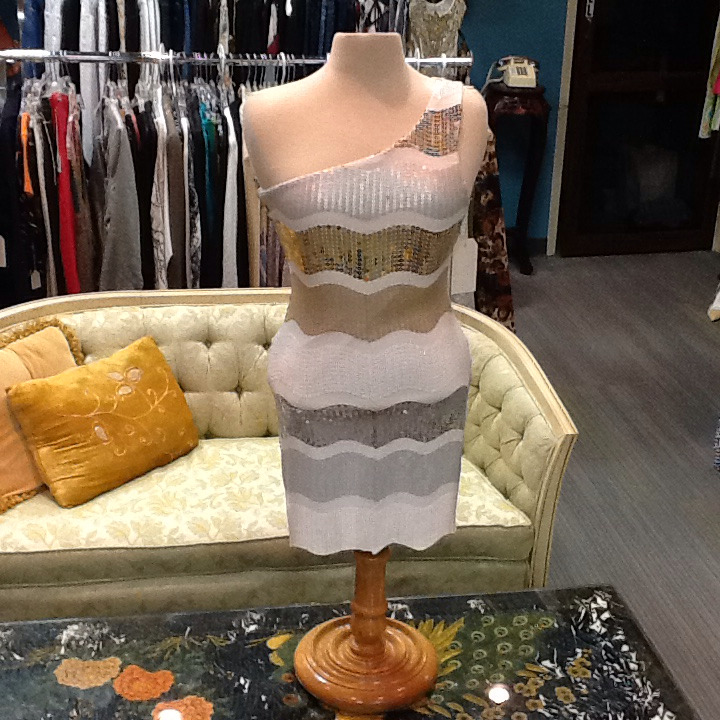 Multi toned gold, silver and white sequins dress. Fully line. EUC!